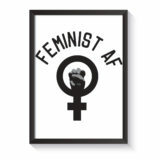 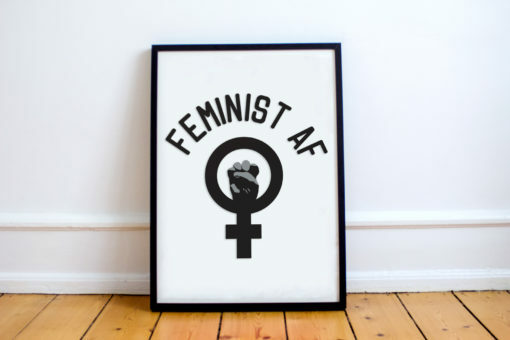 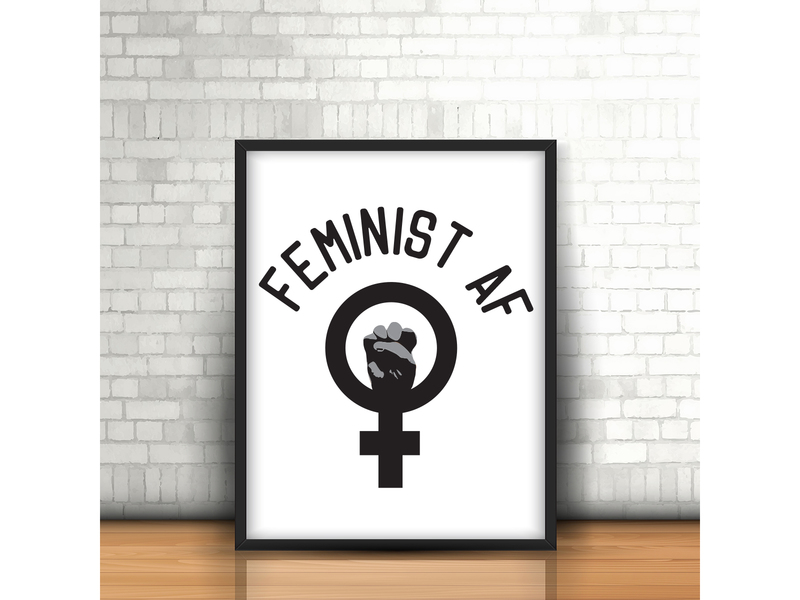 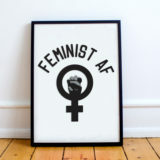 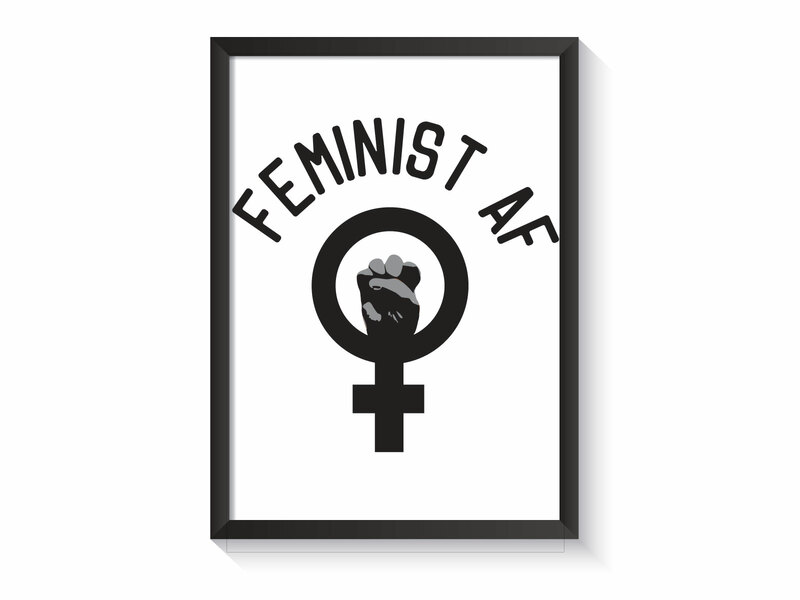 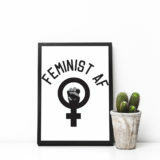 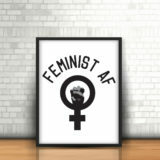 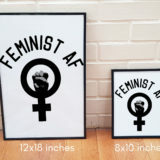 Represent your Feminist pride with our Feminist AF Poster. Original and stylish, it makes a great decoration piece for your home or a clever gift for a loved one. You can purchase either the poster paper only or the poster within a black frame. 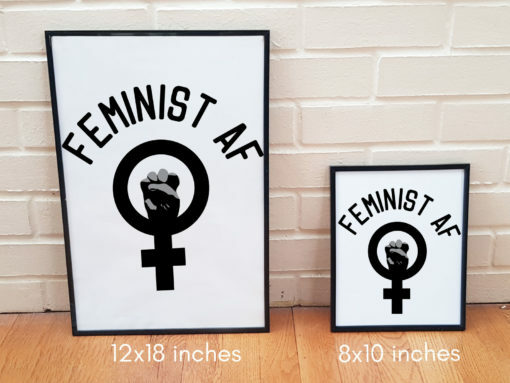 Our posters are available in two sizes: 8x10in and 12x18in. 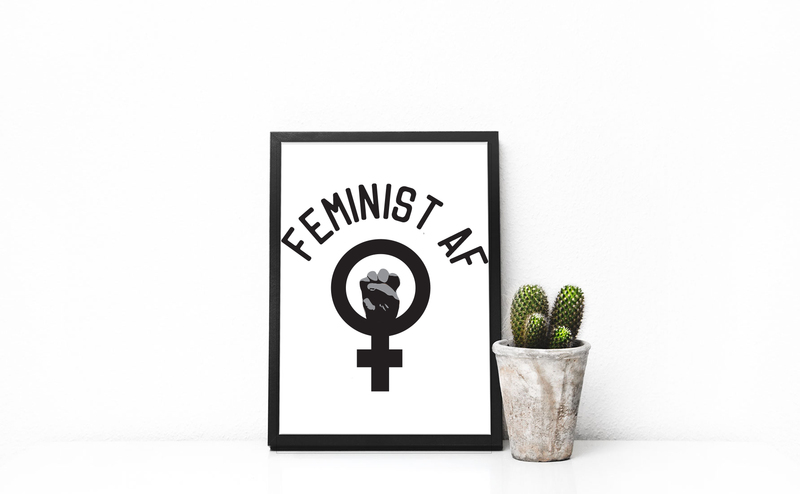 All of our posters are printed with pigment inks on professional luster paper in our studio in Norman, OK. We take pride in creating our products in a sustainable and ethical way.